If you suffer from high blood pressure, abnormal cholesterol levels or excess weight around the waist, know that you’re not alone. These health issues are relatively common among Australians, and are often comorbid with obesity – a condition that affects nearly 30% of all Australian adults. But mounting evidence is showing that these issues pose an additional threat. The growing obesity epidemic from the last few decades has given rise to another one just as deadly: type 2 diabetes. If you are overweight or suffer from any of the aforementioned health conditions, you are one of the Australians at risk. There are a host of other factors that can elevate your risk of becoming diabetic, but health professionals agree that being overweight is one of the main culprits. It’s not just about fitting into your favourite swimsuit this summer anymore. With 280 Australians diagnosed with type 2 diabetes every day – and more than 102,000 Australians in the last year – it’s about taking steps to lower the risk of becoming one of the 1.7 million Australians suffering from type 2 diabetes. The World Health Organisation predicts that diabetes will be the 7th leading cause of death by 2030, less than 12 years from the time of writing. In Australia, the estimated full cost of diabetes to its economy is estimated to be as high as $14 billion per year. 2 Why is type 2 diabetes on the rise? Type 2 diabetes is a condition that causes the body to become either resistant to insulin or lose the ability to produce enough insulin in the pancreas. The pancreas then responds by producing greater and greater amounts of insulin, affecting the body’s capacity to process blood sugar (glucose). The body’s blood sugar can then rise to dangerous levels. The link to body fat? Type 2 diabetes often sets in when the pancreas wears out from trying to create excessive insulin. It does this because it’s trying to break down excessive fat in the body. Failing effective treatment, people with type 2 diabetes are at severe risk of a heart attack, stroke, blindness, kidney failure and even mental health issues like depression. They can also suffer increased thirst, frequent urination, hunger, fatigue, blurred vision, weight gain and an impaired ability to heal wounds. As this is a progressive disease, it’s likely that although initial symptoms can be managed by diet or lifestyle, the sufferer will eventually need to take medication, blood thinners or insulin injections. As per the statistics, too many of us are overweight, inactive and attached to poor diet choices. This is making us fat, which then makes us susceptible to type 2 diabetes – which can make us gain even more weight. And so the cycle continues. It’s a pretty nasty catch-22! Adopting healthier habits is an essential strategy for Australians in beating the type 2 diabetes epidemic. The good news is that type 2 diabetes is largely preventable. An ideal starting point is to check your risk level by using this diabetes risk calculator. If you are prediabetic or diabetic already, you may be feeling a bit worried while reading this article. But hope is on the horizon. A study last year showed that a radical low-calorie diet could potentially reverse type 2 diabetes. Nine out of ten people in the trial who lost 15kg or more saw their type 2 diabetes go into remission. 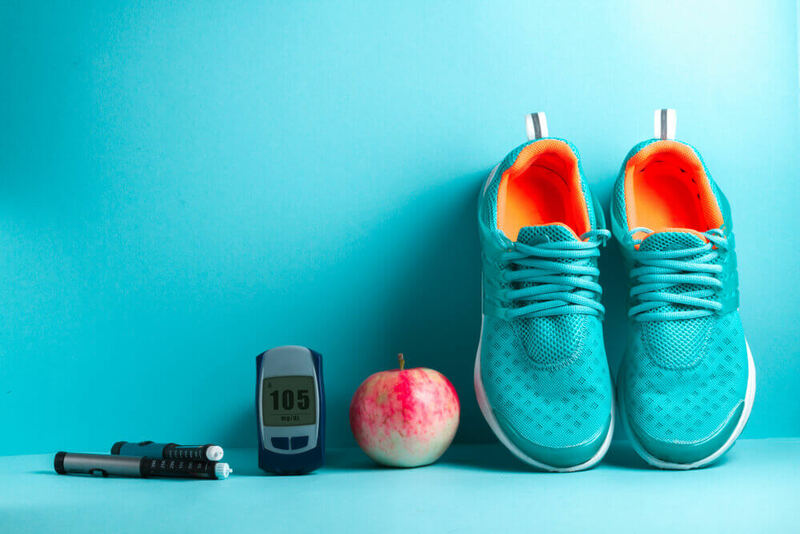 It’s often possible that patients recently diagnosed with type 2 diabetes can up their physical activity and see a return to normal blood glucose levels. [LD11] These are promising stories for diabetics who wish to regain control of their health and wellbeing. Wherever you sit in relation to this chronic condition, taking a proactive attitude to healthy living habits will always benefit your general health in the long run.